There is no question that the value of the big toe ( the medical term is “great” toe) is much greater than the other four. 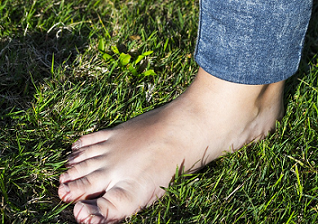 The big toe provides strength, balance, and ability to walk with a normal gait. It bears approximately 40% of your body weight. You cannot, for example, join the military without a big toe. That said, many people do perform fairly well without a big toe and, after an adjustment period, walk, run, and jump and otherwise live a normal life. Defendants are always arguing that non-great toe amputations cause minimal gait disturbance and little to no changes in weight-bearing pattern. But that does not change the trauma of losing a toe. And, ultimately, the value of your case is going to depend on how the jury thinks the loss of the toe – big toe or otherwise – impacts you. It is also fair to say that who you are matters. Losing a toe would have little effect on me cosmetically. No one at the beach is going to care if I’m missing a toe. It is not a major aesthetic body part at my age for most men. But if you are a 17-year-old girl who takes pride in her appearance, the value of the case is going to be much higher. Below are some sample verdicts and settlements in amputated toe cases. Do not “over-learn” the lessons from these cases. It is very hard to mix and match your case with other cases because the facts, jurisdiction, lawyers, and parties are different. So you can read a case here that sounds exactly like your and it is not like yours at all in terms of value (one way or the other). That said, along with other evaluation tools, these results are instructive in learning more about the range of particular cases. Keep in mind that if an accident is severe enough to lose a toe, there were probably other injuries involves as well. The hard part is thin slicing out how much of the verdict or settlement should be attributed to the toe. 2016, Texas: $980,000 Verdict. A 32-year-old man is driving his pick-up truck with a camper trailer on the highway in the middle of the night. There are no lights and it is raining. He loses control of the vehicle and it spins out, finally coming to rest on the side of the highway, blocking the left shoulder, left lane, and part of the right lane. An 18-wheeler attempts to help him and activates his hazard lights. The driver of another 18-wheeler comes across the scene and observes the parked 18-wheeler, but does not see plaintiff’s pickup truck or camper and strikes the side of plaintiff’s truck. He files a claim against the driver of the 18-wheeler who hit his truck, alleging the failure to keep a proper lookout and to avoid the collision. As a result of the collision, plaintiff sustained a left foot injury, left foot fractures, and neck and back sprains. An infection develops in his left toes on his middle foot, causing them to be amputated. A jury awarded him $980,000. 2016, New Jersey: $800,000 Settlement. Plaintiff, a carpet installer, is utilizing a lift to load materials for a carpet installation job when he claims the lift went up and caught his foot in the pinch point. This resulted in the amputation of three of his toes and half of another toe. He contends that the lift was not installed correctly and that defendant, the building management company who inspects the premises several times per year, should have recognized the hazard and corrected it or placed warnings. The parties settled before trial for $800,000. 2016, Texas: $573,763 Verdict. A 61-year-old man seeks treatment for an ingrown toenail on the fifth toe of his right foot. Defendant says she can fix this and her technicians begin work. He later develops an infection and gangrene in his foot, leading to the amputation of two of his toes. He brings a claim against the defendants, claiming they cut a nerve while attempting to remove the ingrown nail and further that they did not sterilize their equipment, causing him to develop an infection. A jury awarded the man $573,762.82. 2016, Michigan: $320,000 Settlement. Plaintiff’s big toe is cut during a procedure at the salon. She subsequently develops an inflammation of the bone due to infection and her big toe is amputated after two months of daily IV antibiotics. She sues the salon, who originally denies that the cut occurred on their premises. During the discovery stages, it is discovered that the nail technician was not licensed to perform pedicures. The case settled during mediation for $320,000. 2016, Alabama: $10,000 Settlement. Plaintiff is working as a laborer for the City when he injures his left big toe. He has to have it amputated, and is given a 100% impairment rating for his loss. He files a workers compensation claim seeking permanent disability benefits. The parties settle for $6.35/week for the remainder of his life expectancy. 2016, Ohio: $27,018,940 Verdict. This is really a leg amputation case which is obviously a big difference. I’m just including it to give little context. A 43-year-old music studio owner is a front seat passenger on a Greyhound bus being operated by defendant. The bus hits the rear of an 18-wheel commercial truck, causing the front of the bus to fly into the rear of the truck. This impact pinned plaintiff to his seat. He sustained crush injuries to his leg, urethra, gallbladder, spleen, heart, and shoulder. He had his right leg and fifth toe amputated. He has thirty surgeries to address all of the injuries sustained in the accident. A jury found the bus driver and Greyhound to be negligent, and awarded the man $23,018,790 in compensatory damages at $4,000,150 in punitive damages. 2015, New York: $25,370,000 Verdict. A 29-year-old foreman is working at a construction site. Plywood is placed over holes that are supposed to be filled by columns. Plaintiff falls twenty feet through one of the holes and lands on the ground. He is transported to the hospital, where he is found to have crush-induced fractures in his right leg and fractures in his right ankle, sacrum, and vertebrae. After surgeries on his foot, his toes become gangrene, and he receives IV antibiotics for three weeks. However, he is forced to have portions of two of his right toes amputated. This is later followed by an amputation of the lower portion of his leg. A jury awarded the plaintiff $25,370,000 which was later changed to $25,882,000 after adding in the stipulated medical expenses. 2015, Illinois: $10,425,000 Verdict. A man is admitted to the hospital and has surgery to remove an infected toxic megacolon. He is then placed in the ICU and diagnosed with ischemia (an inadequate blood supply) in his hands and feet, which progresses to sepsis and gangrene. The physicians are successful in treating his right hand, but his left hand and all of his toes on both feet are amputated during the following month. He files suit against the hospital and doctors, alleging they failed to perform testing of the arterial line used to monitor the man’s blood pressure. This caused the staff to be unaware that the line was malfunctioning and registering a lower blood pressure. Due to the false blood pressure reading, the staff gave the man vasopressor medications in an attempt to raise his blood pressure when they were unnecessary, causing his blood vessels to constructing and resulting in ischemic damage and the amputations. A jury found that the doctors engaged in malpractice, and awarded the plaintiff $10,425,000. 2015, Illinois: $2,610,000 Settlement. A man is inside defendant’s workshop garage. Defendant’s employee is repairing a motorcycle when the throttle becomes stuck and the motorcycle runs over both of plaintiff’s feet. He has lacerations on both feet and develops gangrene on his toes. After treating with antibiotics for six months, he is forced to undergo an amputation of his left leg below his knee and an amputation of two toes on his right foot. The parties settle before trial with the owner of the bike paying $360,000 and defendant company paying $2,250,000. 2015, Texas: $2,580,000 Verdict. Plaintiff and his co-worker are adjusting the position of a semi-trailer backward or forward. During the adjustment, plaintiff’s foot is run over by a tandem wheel while his co-worker is in the driver’s seat. He is transported by ambulance to the ER, where he has severe crush fractures and nerve damage to his right foot and a severed toe. Plaintiff and his wife sues the owner of the trailer for negligently failing to repair the trailer the prior day, and his co-worker for failing to operate the vehicle safely. A jury finds that owner of the trailer is 49% liable, that his co-worker is 9% liable, and that plaintiff himself is 43% liable for his injuries. They award the man $2,580,000 in damages, which is reduced to $1,470,600 after the fault apportionment. 2015, Michigan: $2,325,000 Verdict. A 59-year-old man is operating his vehicle with his wife is in the passenger seat. As he navigates a curve in the road, his vehicle is struck head-on by a gasoline tanker driven by defendant. The accident occurred due to defendant crossing the double yellow center line, and the back end of the tanker strikes the front of plaintiff’s pickup truck. Plaintiff sustains fractures to his right foot, left hip, pelvis, left ankle, and left arm. Additionally, he has a partial severing of his right big toe with reattachment. His wife sustained a sternum fracture, concussion, and a brain injury with cognitive losses. A jury awards Plaintiff $1.6 million for pain and suffering, $320,000 to his wife for loss of consortium, and $405,000 to his wife for pain and suffering. 2015, New York: $2,210,000 Verdict. A 34-year-old business owner is struck by a forklift while he is visiting a warehouse. At the time of the incident, he is standing on the interior side of plastic curtains separating the inside of the warehouse from the loading dock. He claims the forklift emerges from the loading dock and rolls over his right foot. He injured two of his toes, and claims that the operator of the forklift was negligently in operating it. Defendant argues that plaintiff visited the warehouse many times and knew that forklifts often came from behind the curtains, and that plaintiff put himself in a dangerous position. Plaintiff develops gangrene on his injured toes and has to have them amputated. A jury found defendants to be 50% liable and plaintiff to be 50% liable for the injuries. They awarded plaintiff $2,210,000, which is reduced to $1,163,156.58. 2015, New York: $1,500,000 Verdict. A 69-year-old man is watching a fireworks display on the Fourth of July. While he is walking along a walkway that sit next to a parking lot, he is struck by a barrier that was toppled over by a reversing car. He sustains crush-induced fractures on each toe and several metacarpals and subsequently develops necrosis that requires amputation of the front half of his left foot. He sues the driver of the car as well as the city as the operator of the park. A jury finds that the city created the dangerous situation, making the park 75% liable and that the driver of the vehicle negligently operated it, holding him 25% liable. The parties negotiated the damages portion of the trial. The city agreed to pay its policy of $1 million, the city’s excess insurer agreed to pay the man $400,000, and the driver’s insurance carrier agreed to give its policy limits of $100,000. 2015, New Jersey: $1,200,000 Verdict. A 45-year-old ironworker is at a construction site. He is standing on a scaffold when a 600-pound iron bar support broke from a metal base and fell, striking plaintiff’s scaffold. This caused him to drop 10 feet to a lower level scaffold. He is taken to the ER and diagnosed with post-traumatic stress disorder and other psychological injuries. Plaintiff argues that he subsequently suffered additional injuries such as further brain damage and amputation of several toes. Plaintiff argues the defendants did not properly supervise the safety procedures and the site or conduct proper inspections. Defendants argue that the injuries from the accident were minor and that the man’s serious injuries resulted from his prior history of alcohol abuse that existed before the accident. After a five-week trial, the parties settled during jury deliberations for $1,200,000. 2015, Connecticut: $847,972 Verdict. A 40-year-old man is working for his employer when he injures his right big toe on a walkway that he alleges was covered with equipment. When the man goes to the emergency room, he is diagnosed with a phalange fracture in his big right toe that became infected and eventually led to the partial amputations of two-thirds of his right foot. He sues the company for negligence, claiming they failed to maintain the premises in a reasonably safe condition. A jury found that the defendant was 10% liable and the plaintiff was 90% liable for the injury, so the jury award of $847,972 was reduced to $84,797. 2015, Alabama: $20,000 Settlement. A minor is a patient at defendant hospital. The staff places a central venous catheter into his left foot, and tape it to hold it in place. Two days later, they are using scissors to remove the tape when they amputate a portion of his fifth toe accidentally. The parties settled for $20,000. 2014; North Carolina – $1,500,000: Verdict: A 9 year-old girl was at an amusement park with her grandfather driving go-carts. When she drove in a race by herself, her go-cart became tangled on a guardrail, and no attendants came to free her cart. She then exited her go-cart to push it back when she was struck by another cart, crushing her foot. This required amputation of all her left toes and the front portion of her left foot. She sued the amusement park, claiming that the track was not adequately supervised and had an attendant been there to push her out, she could have avoided the injuries. The plaintiff was ultimately awarded $1,500,000, with approximately $245,000 stemming from past medical expenses. This case highlights the pitfalls of comparing claims. In many of these toe amputation case, there is another injury involved, often a crush injury to the ankle or foot. If you have these kinds of facts, the value of the case is going to be higher, all things being equal. 2013: New Jersey – $750,000; Settlement: While the plaintiff was working as a subcontractor, he stepped on a drywall screw that was left behind by another contractor. The screw became embedded in his foot, causing infection. He claimed that the wound caused immediate numbness and he did not realize it until nearly six hours after injury. The injuries became severely infected, resulting in the plaintiff having to undergo amputation of all of his toes on the affected foot. He alleged negligence on behalf of the other contractors for failing to clean up the screws from the workplace. The parties settled for $750,000. 2013; Massachusetts – $650,000; Settlement: The plaintiff had a lesion on her foot, prompting her to seek treatment from her pathologist. The pathologist told her that the lesion was benign, and that it did not need to be excised. However, a year later, the plaintiff sought the advice of a podiatrist, who determined that the lesion was actually melanoma and that amputation of her big toe was necessary. The plaintiff sued the pathologist, claiming that she should have recommended complete excision of the lesion, thus avoiding the need for amputation. The parties settled for $650,000. 2010: New Jersey – $826,500; Settlement: The plaintiff was working on a tree trimming crew when an outrigger from a cherry picker was accidentally lowered on his foot. He suffered a crushed foot, which required amputation of all of his toes. He claimed that the cherry picker was defective, in that there should have been audible warning systems that warned that the outriggers were being deployed. He also alleged that the county (his employer) should have developed better procedures to ensure such accidents would not occur. He settled with both the manufacturer and county for $826,500. 2009; Maryland – $223,713: Verdict: The plaintiff was an electrician working on a job site. He attempted to use a forklift that was leased by other contractors on the site. The forklift was missing several key components, and when the plaintiff tried to use the lift, a component broke and crushed the plaintiff’s foot. As a result, the plaintiff had to get three toes amputated. The plaintiff alleged that the leasing company had a duty to inspect the forklift because it had been involved in a previous accident. The defendant claimed that the plaintiff was actually at fault for the accident. The jury awarded the plaintiff a $223,713 verdict. 2008; Pennsylvania – $450,000: Settlement: The plaintiff was walking outside of her house when she stepped on a nail. Contractors were putting a new roof on her house, and the nail fell as a result of the work. She developed an infection in her big toe, which ultimately required amputation. She settled with the contractor for $450,000. Our law firm handles serious amputation personal injury accident and medical malpractice cases in Maryland. If you need a lawyer, turn to one with the experience and resources to maximize the value of your claim. 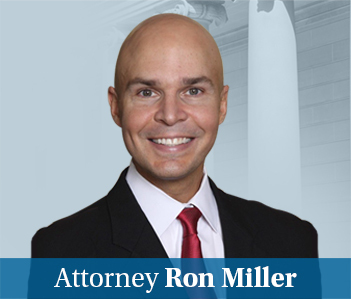 Call Ron Miller at 800-553-8082 or get a free online consultation and case evaluation.